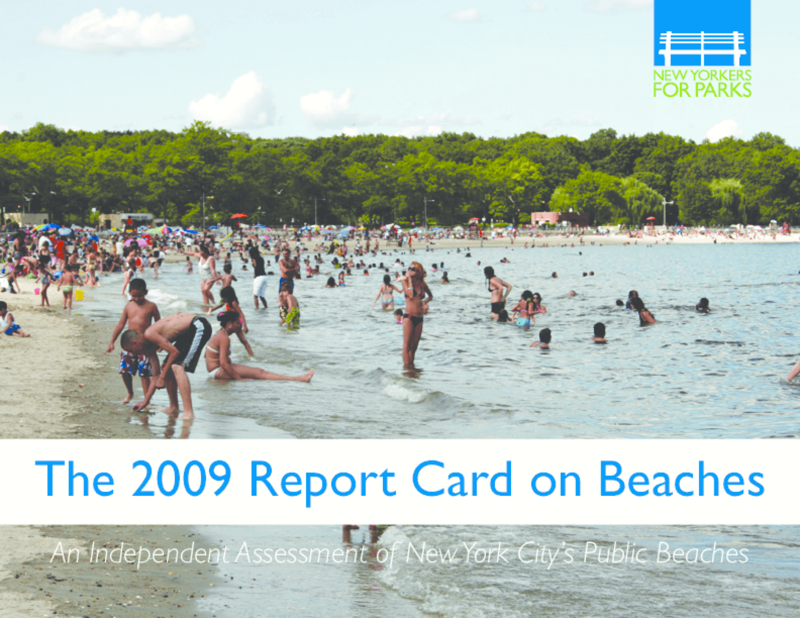 Overall, the city's public swimming beaches showed moderate improvement from the 2007 Report Card on Beaches to the 2009 report, in which three beaches were rated "Satisfactory" versus only one in 2007. However, four out of seven properties were rated "Challenged" or "Unsatisfactory," showing that the City's beaches still lack sufficient care. Copyright 2009 New Yorkers for Parks.